« SMC Educational Event with Mike Moore #2: Mastering the Sales Trinity! The City of San Diego is ambitiously eliminating barriers impacting the region’s housing deficit. Parking requirements are at the forefront of policy reforms being implemented. 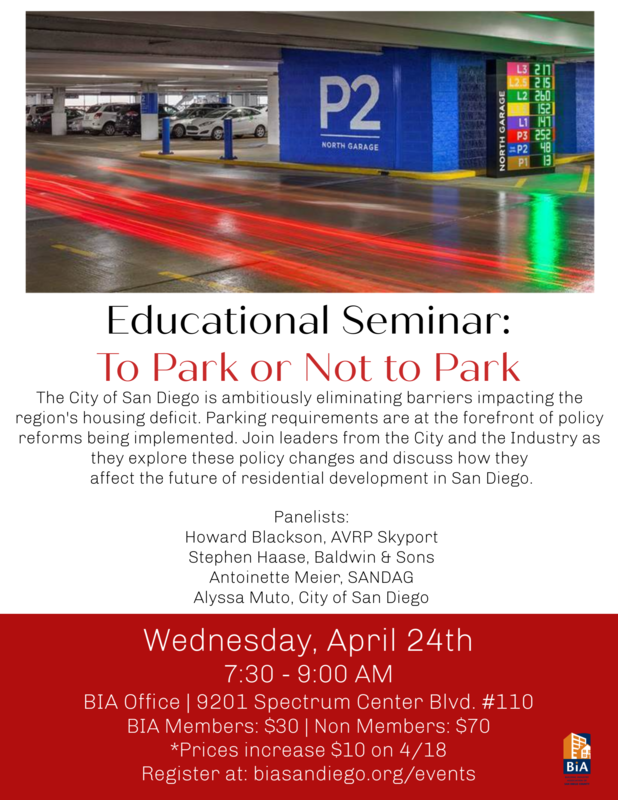 Join leaders from the City and the Industry as they explore these policy changes and discuss how they affect the future of residential development in San Diego.